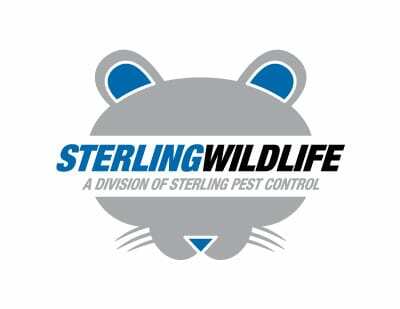 Sterling Wildlife provides expert Opossum removal services to residential, commercial, and industrial properties in Central Florida and surrounding areas. Opossums are unique for several reasons. Females have a pouch on the belly where the young, up to 13, are carried and nourished for a time after their birth. Opossums also have a prehensile tail, from which they can occasionally hang. They are also well known for “playing possum”, or faking death, a defense tactic. Adult possums are typically about two feet long and about ten pounds. Opossums will eat almost anything, including carrion and garbage. Opossums are slow, but excellent climbers, and will live in attics under sheds and under decks. They have a very strong immune system, but seldom live more than three years. They are nocturnal. They look somewhat scary, like a giant rat, and they have 50 sharp teeth in their mouth, and sharp claws. They are not particularly aggressive, but like any animal, if cornered, they will defend themselves. 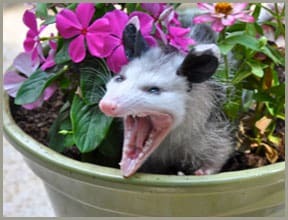 They do sometimes play possum, but they can aggressively attack. It is best not to let your pet after them. They can also spread parasites and diseases via their droppings, but overall, I would not classify them as a particularly dangerous animal. They have taken up residence under a porch or shed. They are living in an attic or get inside the home. Opossums in attics can leave quite a mess with their large droppings. Opossums can also carry various parasites and diseases. 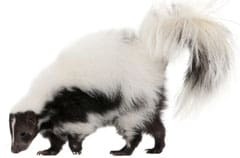 They are not the cleanest of animals, and carry a strong odor. 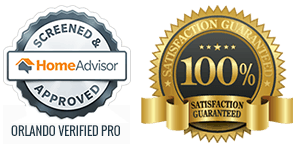 We highly recommend attic decontamination services if you’ve had squirrels living in your attic. While other wild animals allow a number of different control techniques, when it comes to opossums, the only real way to get rid of them is via trapping and removal. Opossums are very easy to catch. Just set a large cage trap, at least 10x12x32, or a raccoon sized trap in the area where the opossum frequents. Then you can bait it with pretty much anything. Opossums are opportunistic feeders and scavengers. However, there are a number of baits that far outperform others, and which can help prevent the catch of non-target animals. The ONE AND ONLY WAY to take care of your problem is with trapping and removal of the animals. There are many different types of methods a homeowner can try like predator urine or ultrasonic sound but these do not work. 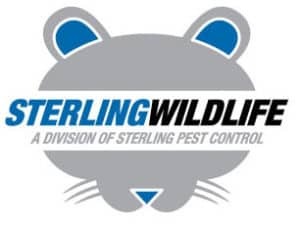 If you have or suspect you may have an Opossum problem please contact: Sterling Wildlife™ at 321-972-8268 to speak with an Opossum Removal Services expert.